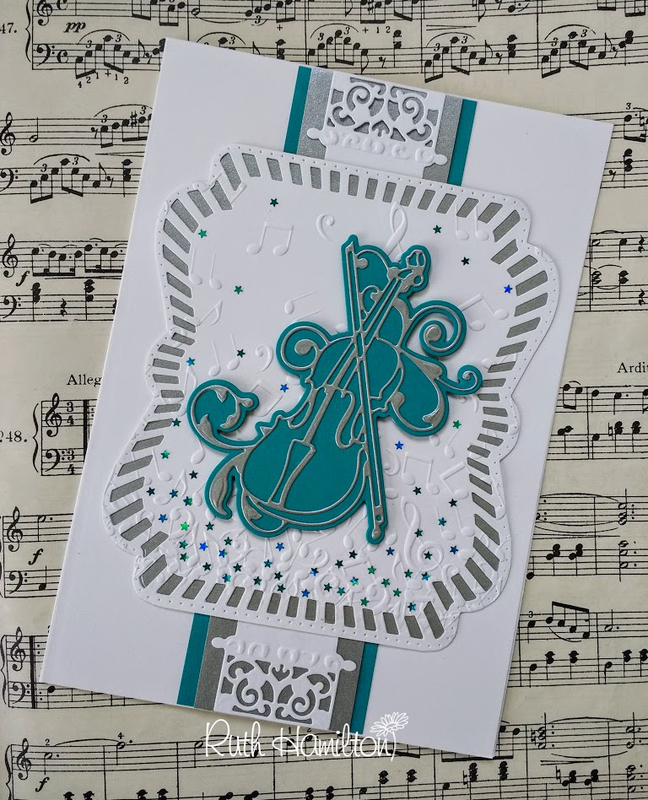 Hi :) This is a card I made with the Tonic Studios "Violin Twist" Rococco die. I used Craft Perfect Luna Silver and Ocean Blue card along with Memory Book Maker "Layered Cascade" and "Decorative Hinges" dies. I also added some Turquoise Stars from the Peacock Feathers confetti collection.